The Wildcats and Lady Cats’ soccer teams are in their third week of practice. Wildcats Soccer Coach Nicky Wiggins was on KSST and Channel 18 TV ‘s Saturday Morning Coaches Show last Saturday (December 9) and he said his team was ready to play someone else other than their teammates. The Wildcats and Coach Wiggins still have a bit of a wait until that happens. The Wildcats first scrimmage will be at home on December 28 against Royse City with a JV game at 5:30 p.m. and the varsity to follow at around 7 p.m. The next day, the Wildcats travel to Kilgore for a scrimmage with the JV playing at 11 a.m. and the varsity at 12:30 p.m. 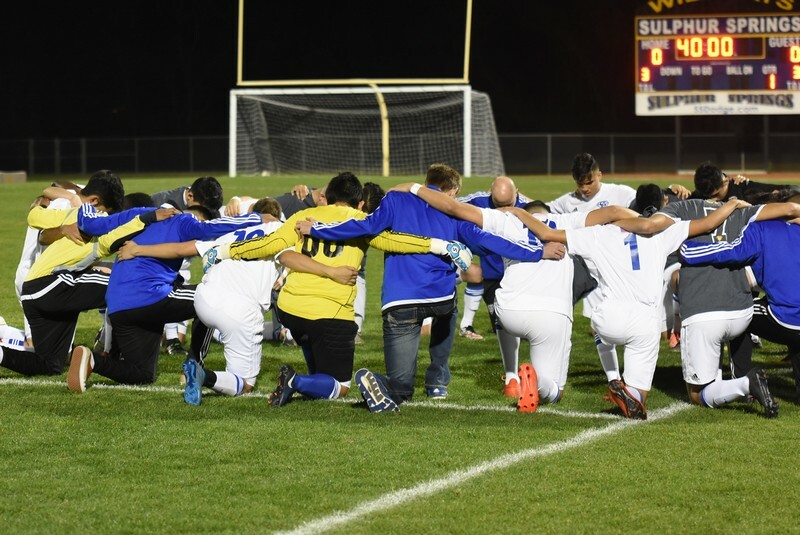 The annual Alumni Scrimmage is set for December 30 with the JV playing the alums at 5:30 p.m.with the varsity match up at 7 p.m. Coach Wiggins is a soccer traditionalist so he believes that soccer was meant to be played on grass. However he appreciates the new Prim Stadium as a soccer field. The new Prim pitch is wider and Coach Wiggins plans for the Wildcats to have a more spread out approach this year at home. Concerning the district race, Coach Wiggins expects Mount Pleasant and Pine Tree to once again be at the top. He says Pine Tree lost very little off last year’s team. Coach Wiggins expects the Wildcats to be up near the top. He says this year’s Wildcats will be made up mostly of seniors and youngsters, who are sophomores or freshmen. The Wildcats open the regular season on January 4 at a Forney tournament.